According to Australian National Recognition regulations, every Registered Training Organization (RTO) is obliged to recognize qualifications or Statements of Attainment issued by another RTO, where they are the same as the competencies in the program that students are enrolled in. Many employment opportunities will require a qualified translator / interpreter to have NAATI accreditation. This may be achieved through completing Sydney Institute of Interpreting and Translating (SIIT) NAATI endorsed qualifications and through NAATI testing. SIIT has a series of pathways approved for our Diplomas and Advanced Diplomas in Interpreting and Translation for a Bachelor of Arts (Interpreting and Translation) degree at the University of Western Sydney. This means that students who complete a qualification at SIIT may receive credits if they wish to continue their study for the Bachelor of Arts (Interpreting and Translating) degree at the University of Western Sydney. Other higher education institutions may also offer credits towards a degree. 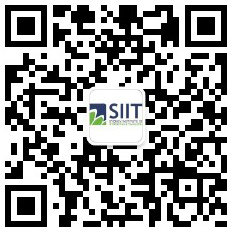 SIIT will assist students who successfully complete a program at SIIT in furthering their studies at universities.